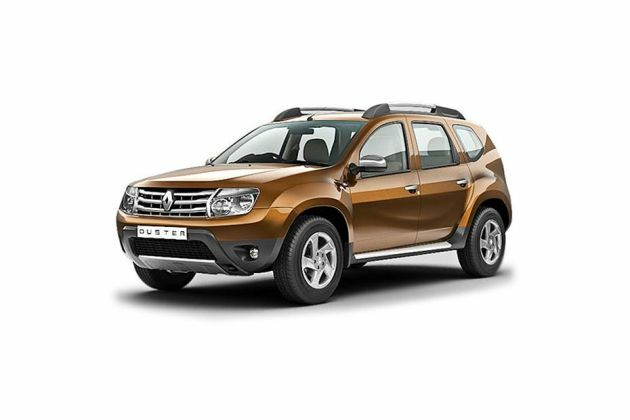 One look at the Renault Duster 85PS Diesel RxL is all it takes to understand that the car is certain to take the automobile market by storm. The SUV packed with safety and comfort features at a very competitive price is what makes it desirable. The exterior of the car is equipped with specially designed headlights which, through light sensors, can alter their intensity according to the availability of natural light. Fog lights, which are provided both at the front and rear ends, look stylish and facilitate driving in foggy conditions. The wipers, used in the car, have to ability to start functioning as soon as they detect the slightest trace of rain. A spoiler is provided at the rear end. It helps in enhancing vehicle stability at high speeds. 16 inch alloy wheels and 215/65 R16 tyres help in imparting stability to the car. Window washer, defogger and adjustable rear view mirror are some of the other features which breathe life into the exterior. Metallic Woodland Brown,Metallic Fiery Red,Pearl Supreme White and Pearl Galaxy Black are some of the color variants the car is available in. Each color gives a new look to the car. The interior of the car is equipped with numerous features which help in giving it a royal semblance. To begin with, the seats and doors of this five seater car are covered with fabric upholstery. This fact helps in giving the interior a consistent and formal look. A conveniently located glove compartment permits the driver to keep all accessories in a secure manner and that too at an arm’s reach. A cigarette lighter , AC, Heater and digital clock are some of the other impressive fixtures that enhance the daintiness associated with the interior. On the technology front, the car is equipped with a 1461 cc, 1.5L turbocharged 4 cylinder engine that offers a peak torque of 200 Nm at 1900 rpm and a peak power of 83.8 bhp at 3750 rpm. The technology used helps the car in offering a good city mileage of 18.0 kmpl and a highway mileage of 20.46 kmpl. A 50 litre fuel tank helps in making the car suitable for use on the highway. As far as dimensions are concerned, the car has a truly “larger than life” persona with a height of 1695 mm, width of 1822 mm and length of 4315 mm. A 2673 mm wheelbase helps in bringing about an even distribution of weight. Realising the importance of the braking system, the makers have equipped the cars with disc shaped front brakes which are easy to operate and maintain. On the rear end, drum brakes are employed to the stability of the car. Braking at high speeds may result in locking or jamming of brakes. A robust Anti Braking System (ABS) helps in eradicating this problem. Renault Duster 85PS Diesel RxL also has Assisted Braking— a feature that helps in reducing the distance the car travels post the use of brakes. Passenger safety is taken care of by numerous impressive features. To start off, the car employs child locks which help in preventing children from opening doors while the car is on the move. Passenger and driver airbags help in protect the passengers from injuries, in case of collision, by acting as shock absorbers. Seat belts help in enhancing passenger safety during jerk filled journeys. Door Ajar and seat belt warning indicators help in ensuring proper locking of doors and application of seat belts respectively. Side impact beams help in reducing the damage suffered by the car in case of a rollover. Front and rear suspension help in easing out the shocks associated with bumpy or rough journeys. A special feature called immobilizer deactivates the engine if a duplicate key is used at the time of ignition. Halogen headlamps are provided for driving in dark and foggy conditions. Another safety feature available is the presence of power door locks— a technology that ensures the automatic locking of doors once the car moves. A ton of comfort oriented features help in making the car a true “’palace on wheels ”. A power steering helps in introducing a sense of automation to, highly challenging, task of driving thereby making the life of novice drivers easy. It is also equipped with controls for manipulating temperature and the music system. Parking sensors, which detect the obstructions or the other cars help in simplifying the task of parking. Rear AC vents ensure that the comfort of passengers seated on rear seats is not compromised. The interiors include the cup holders to help in spill free consumption of drinks while on the move. Seat belts are equipped with controls that help passengers in adjusting them according to their height. Those who like reading while on journeys will certainly appreciate the presence of a reading lamp— a feature that facilitates night time reading. A spacious trunk makes the car suited for long journeys. A trunk light makes it possible to use the trunk conveniently even in darkness. A remote lid opener comes across as very a handy tool at fuel stations. A unique feature called “air control” helps in ensuring that passengers breathe only refined and dust free air. The feature acts as a blessing for patients of asthma and other respiratory ailments. Rear headrests enhance passenger comfort and make life easy for those suffering from spondylitis or neck pain. The entertainment needs are taken care of by a handful of entertainment related features. To begin, a CD player with a robust performance and smooth functioning is provided. A CD changer feature permits smooth changing of the CD s and help in preventing the player from damage it may suffer if it is handled manually. A Radio is provided that helps users in enjoying the latest songs and tuning into their favorite radio stations while on the move. Speakers are provided at the front and rear which offer top-notch sound quality and through amplifier create a surround sound feel. A remote control for controlling the audio system is also provided to improve usability.